Takes you through upgrading your computer in simple stages. Identify, locate, and install the relevant parts to make your computer faster, more versatile, and more powerful. Many people unnecessarily spend money buying a new computer when their current PC can be upgraded to meet their requirements. This title takes the reader through this process in simple stages. Many of us would spend more time fixing a ten-dollar pen than repairing or upgrading a thousand dollar computer. Delving inside a PC seems so forbidding that many people would rather avoid it at any cost, even though replacing computer parts is so easy that, with the proper guidance, even technophobes can do it. 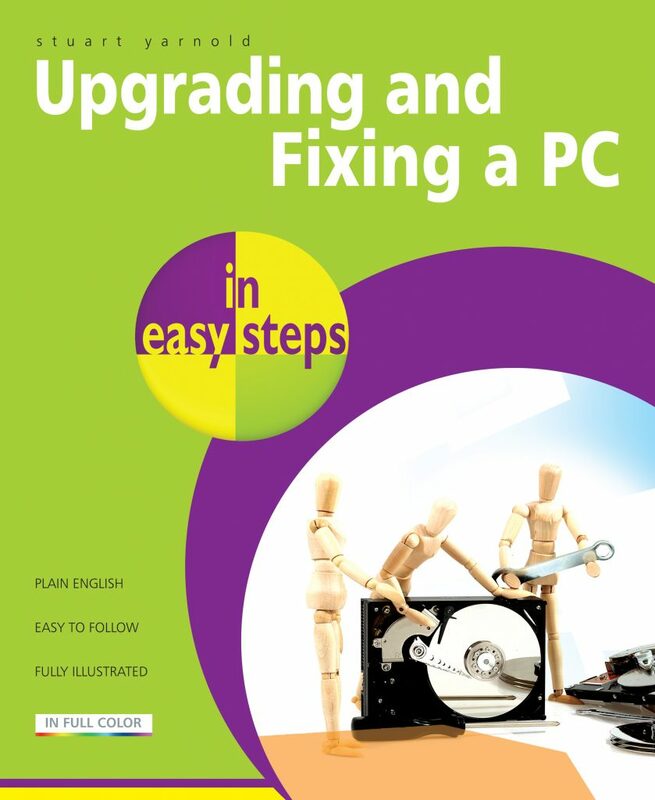 Upgrading & Fixing a PC in easy steps provides all the information one needs to do just that. A must for all PC users. Upgrading & Fixing a PC in easy steps enables you to keep your PC at the cutting-edge by explaining how to replace components or add new ones. Its simple, illustrated instructions and nifty sidebars teach you to identify, locate, and install the relevant parts to make your computer faster, more versatile, and more powerful. But this book isn't just a handy how-to manual; it's a consumer guide. In truly easy steps, it teaches you to evaluate the performance, storage, and networking needs of your PC yourself. Upgrading & Fixing a PC in easy steps even provides you with a money-saving tutorial on your various buying options and a separate chapter on troubleshooting nasty problems. When one considers the high price and inconvenience of computer store visits, it's no wonder that we think of this both a learning tool and an investment.